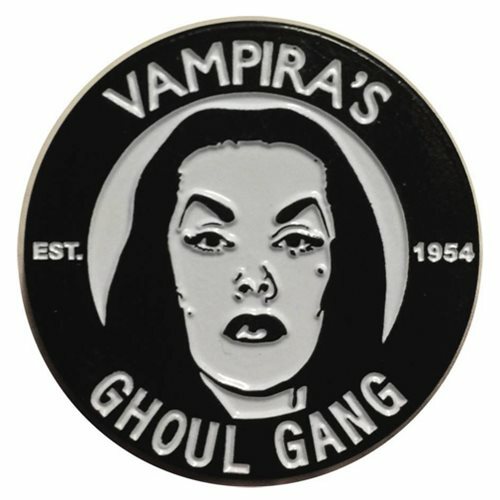 Are you a member of Vampira's Ghoul Gang? If so, you'll need one of these enamel Vampira Ghoul Gang Lapel Pins from Ripper Merchandise to let everyone know Just how much you love the horror show host. Measures approximately 1 1/2-Inches.